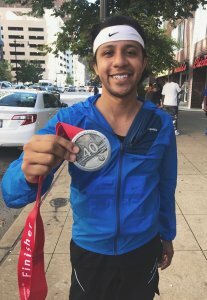 A big congratulations are in order to our very own Lawndale Bilingual News family member Tony Diaz who participated in the Bank of America Chicago Marathon on Sunday, Oct. 8th. Not only is Diaz a gifted photographer, but a fierce runner. We are all very proud of your achievement. Kudos to you!